Visit Vietnam and Cambodia and experience old-world glory and an ultimate feast for the senses. The tour will bring you to some of Southeast Asia’s most fascinating attractions. Raw natural beauty, colonial cities stuck in time and friendly culture is what awaits you. At arrival, we will meet you and transfer you to your hotel in Hanoi. At night we will bring you out for a welcome dinner in an authentic local restaurant. This is a great start to learn about the local cuisine and at the same time go through the programme for the following days. After breakfast, you will start on a city around Hanoi. The tour includes visits to Ho Chi Minh Mausoleum (outside view), Ba Dinh Square, The old residence of Ho Chi Minh, One Pillar Pagoda, Central Sector of the Imperial Citadel of Thang Long, Ethnological Museum, Temple of Literature, Ngoc Son Temple. Afterwards, we will walk around in the Old Quarter of Hanoi. This will give you a good experience of the locals' life and their businesses. Today we will transfer you to Ninh Binh. On arrival, you will: visit Dinh and Le Temples. We will take a sampan (local boat) ride among the scenic Trang An Complex, which will take you through stunning caves full of stalactites and stalagmites. We will return to the harbour and take a short drive in the scenic and quiet countryside and visit the Bai Dinh pagoda. After the tour, we return to the hotel. Early morning after breakfast we will start our drive through the countryside road, through the rice fields to Ha Long Bay, one of New Seven Natural Wonders of the World. We welcome our guests onboard the Orchid Cruise and then check in, enjoy Welcome Drink, receive cruise briefing, safety instructions, and check-in. 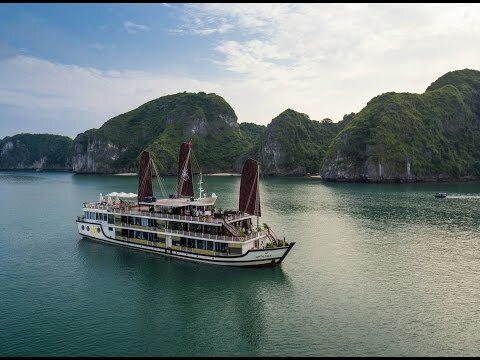 Start cruising and explore Halong Bay - one of the World's New Seven Wonders of Nature. Orchid Cruise proceeds to Da Chong islet, where you can see a lighthouse built by the French over 100 years ago. Have an International Buffet Lunch while passing via the islets of Con Vit area. These amazing limestone karst formations rise up out of the sea in an impressive manner. This area is untouched, as not many cruise ships use the route via the Cat Ba Island - Thoi Quyt area - Coc Ngoi islet - through Gia Luan area where is belong to Cat Ba National Park. Orchid Cruise gets in the less populated area at Tra Bau where is located in Lan Ha Bay. You will enjoy the green emerald and cool water by swimming. Returning Orchid Cruise, you can watch the magnificent sunset over the Gulf of Tonkin. Onboard you may join a traditional cooking class. Our chef will instruct you in the making of some Vietnam dishes. In the early evening, the boat has its Happy Hour deal. Sumptuous Candlelight Deluxe Dinner Set Menu is served. Enjoy delicious local food prepared and served for you by our wonderful onboard catering staff. This is a delightful meal in an intimate romantic setting. Wake up early to witness the bay at its very best whilst enjoying an invigorating Tai Chi session on the sundeck; after which we serve the breakfast. Upon completing breakfast continue our journey and head out to explore the bay in the area where Ao Ech is situated. You enjoy on your own for kayaking at Ao Ech area to discover the hidden charm of Lan Ha Bay. Orchid Cruise welcomes you back on board and it is time for checking out. Whilst cruising back you can enjoy a delightful brunch. Tea Ceremony is served at the restaurant. You will learn how to enjoy Vietnamese tea and Vietnamese cultural at this ceremony. Joining Tea Ceremony with our crew's team and have great fun with us! We return to the quayside in the south of the bay, where our visitors disembark and return to Hanoi. Back to your hotel in Hanoi. The rest of the day is yours. Note: Above program is for 5* Orchid Cruise and will be changed if choosing another cruise. Cruise program maybe changes without prior notice depending on tide level, weather, authority etc. 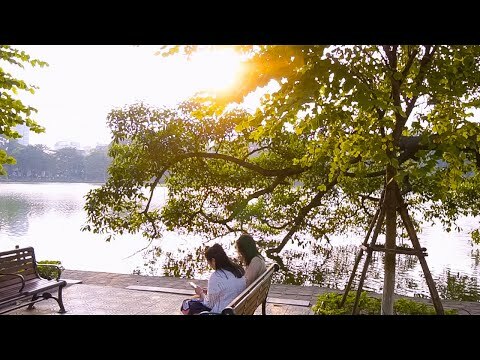 There will be some more free time in the morning for you to explore Hanoi on your own, go shopping or relax at your hotel, until your transfer to the airport for the flight to Siem Reap. Upon arrival at Siem Reap Airport, we will meet you, transfer you to your hotel. The rest of the day is free to explore Siem Reap. After breakfast, the tour of the day will begin. Today's experience includes one of the most interesting sites in the world, the Angkor Thomp Complex (southern gate, Bayon Temple, the Elephant Terrace, Ta Prohm Temple) - the Angkor Wat Temple. It is amazing to experience and hear about the fascinating history of the temple. Once home to the Khmer Kingdom in the 9th century and today it continues to be at the heart of Cambodian culture. In the morning, we will travel through the traditional village of Preah Dark to the 12th-century temple of Banteay Samre. Built by King Suryavarman II, the genius behind Angkor Wat, this temple has been extensively restored. The temple is unique in that over-quarrying of sandstone led to the use of laterite for the roofed corridors. The pediments above the inner doors here include some of the most accomplished carvings from the Angkor period. We continue further north to Banteay Srei, Angkor’s ultimate art gallery. This petite pink temple is the jewel in the crown of Angkor-era sculpture. The elaborate carvings here are the finest found in Cambodia and the name translates as ‘Fortress of the Women’, thanks to the intricate detail here, considered too fine for the hands of a man. Originally believed to date from the latter part of the Angkor period, inscriptions at the site suggest it was built by a Brahman in 967. However, some architectural historians have suggested that the inscriptions may date from an earlier structure on this site and the temple is in fact later, marking a high-water mark in Khmer sculpture. In the afternoon you will visit the unique interior brick sculptures of Prasat Kravan, Srah Srang ("The Royal Baths" was once used for ritual bathing), Banteay Kdei (surrounded by 4 concentric walls), Ta Prohm, one of the area’s most beautiful temples. Ta Prohm has been relatively untouched since it was discovered and retains much of its mystery. Neak Pean, a fountain built in the middle of a pool (representing the paradisiacal Himalayan mountain-lake) and Preah Khan temple, Built by the King Jayavarman VII. Preah Khan is, like Ta Prohm, a place of towered enclosures and shoulder-hugging corridors. Unlike Ta Prohm, however, the temple of Preah Khan is in a reasonable state of preservation and ongoing restoration efforts should maintain and even improve this situation. Then move to the major Pre Rup temple, built by Rajendravarman II in the late 10th century. Architecturally and artistically superior temple-mountain. The beautiful carved false door on an upper level, as well as an excellent view of the surrounding countryside. Richly detailed well-preserved carvings, particularly on the lintels. Traditionally believed to be a funerary temple but in fact the state temple of Rajendravarman II. Stay at your hotel in Siem Reap. We will transfer you to the harbour for a boat ride on the biggest lake in South East Asia, Tonle Sap Lake. During the boat ride you will visit floating villages, floating houses, floating school, hospital, temple, fish farms and crocodile farms. After the cruise, you will have lunch in an authentic restaurant (on your own expenses) then the tour is followed by a visit to the National Museum and the Handicraft Center. Afterwards, return to the hotel. There will be some free time for you to relax until your transfer to the airport for your onward flight home or to your next destination.